Well kept home in north Willows on a good sized lot. 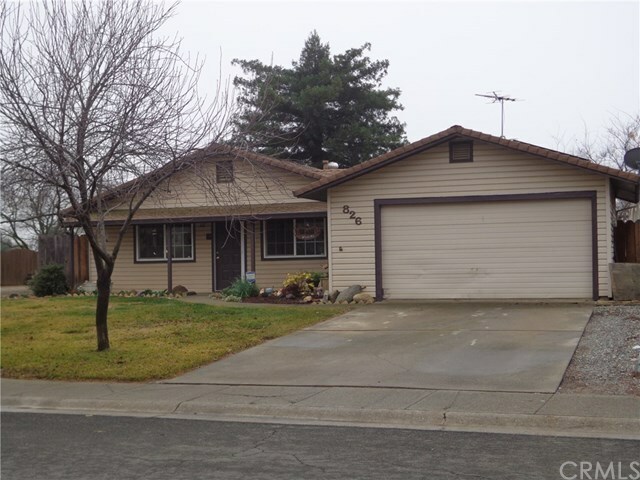 This 3 bedroom, 2 bath home has wood laminate flooring through living room, dining area, kitchen and hallway. Bathrooms have been updated. Heating and Air Conditioning is about 2 years old. Solar was added 5-6 years ago and will be paid off at close of escrow. Home is all electric except water heater, which is also new. Kitchen has a new dishwasher and a new refrigerator which will remain with home. Whole house fan. Auto sprinklers in front and backyard. The property backs up against the Murdock School yard and garden area. There is a city easement along the east side of the property providing access to the side yard. Backyard has fruit trees. Directions: From Wood Street, take Pacific north to Green. Turn right, property will be on the right. Inclusions: Refrigerator, washer and dryer.